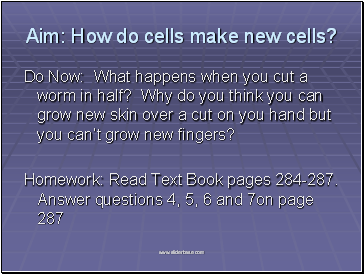 Aim: How do cells make new cells? Do Now: What happens when you cut a worm in half? Why do you think you can grow new skin over a cut on you hand but you can’t grow new fingers? organisms produce more of their own kind. 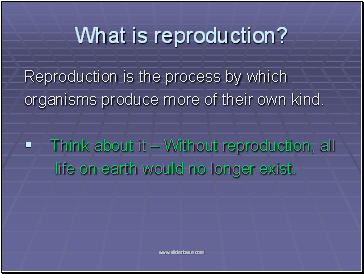 life on earth would no longer exist. 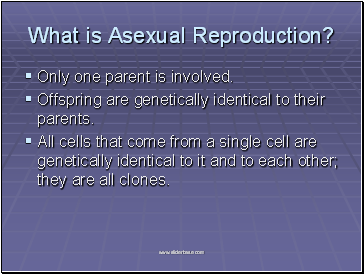 Offspring are genetically identical to their parents. 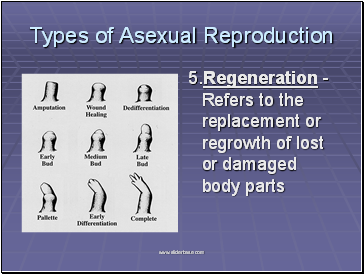 All cells that come from a single cell are genetically identical to it and to each other; they are all clones. 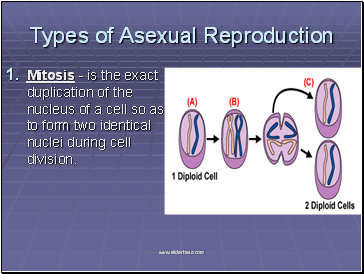 Mitosis - is the exact duplication of the nucleus of a cell so as to form two identical nuclei during cell division. 2. 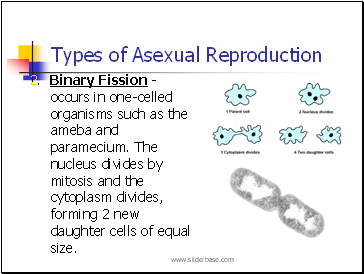 Binary Fission - occurs in one-celled organisms such as the ameba and paramecium. The nucleus divides by mitosis and the cytoplasm divides, forming 2 new daughter cells of equal size. 3. 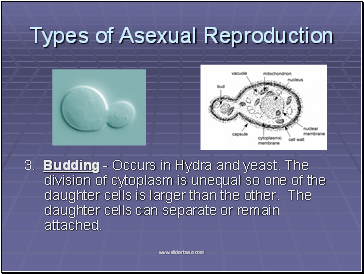 Budding - Occurs in Hydra and yeast. The division of cytoplasm is unequal so one of the daughter cells is larger than the other. The daughter cells can separate or remain attached. 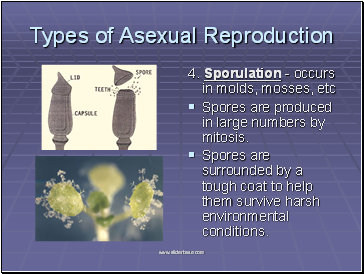 Spores are produced in large numbers by mitosis. Spores are surrounded by a tough coat to help them survive harsh environmental conditions. 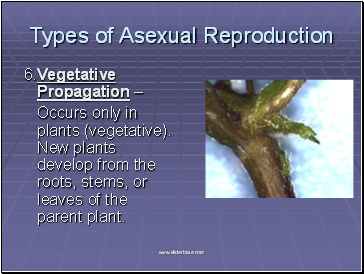 Occurs only in plants (vegetative). New plants develop from the roots, stems, or leaves of the parent plant.